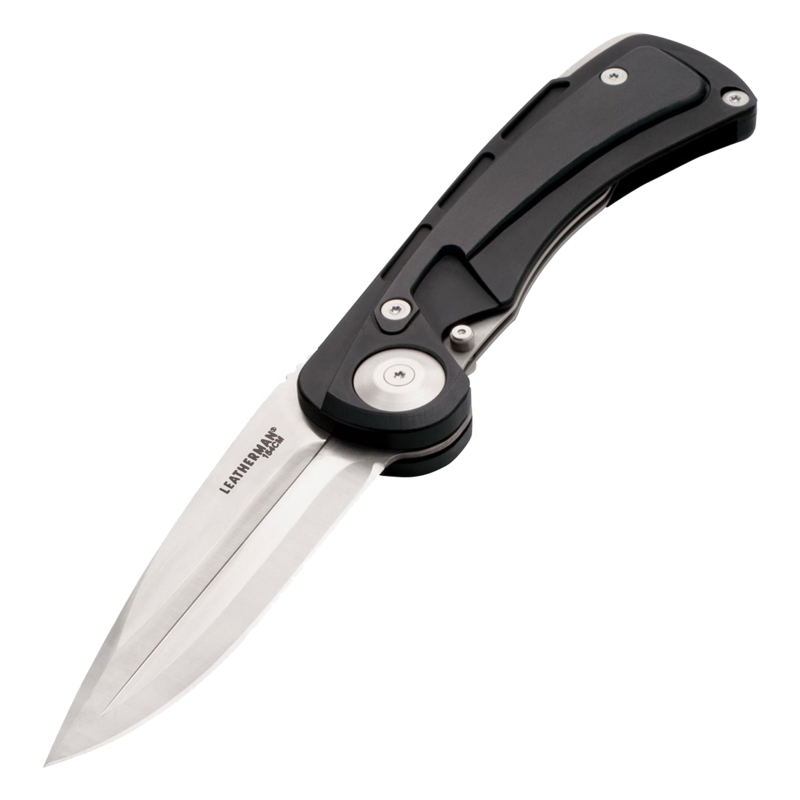 With the Ukiah fixed blade hunting knife superior functionality doesn't mean you have to compromise on safety. 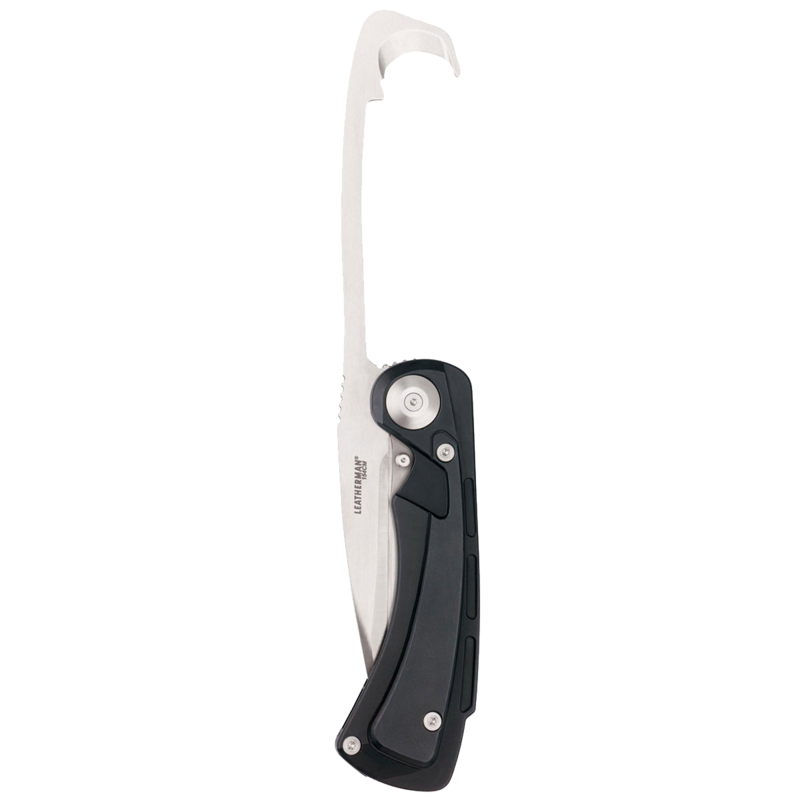 Ukiah employs a rotating handle that covers the blade when the full-size gut hook is deployed. 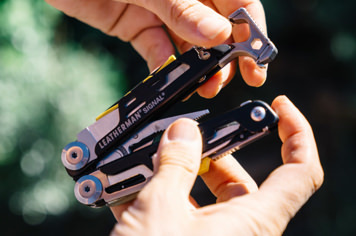 Like any true Leatherman product, the features don't stop there. 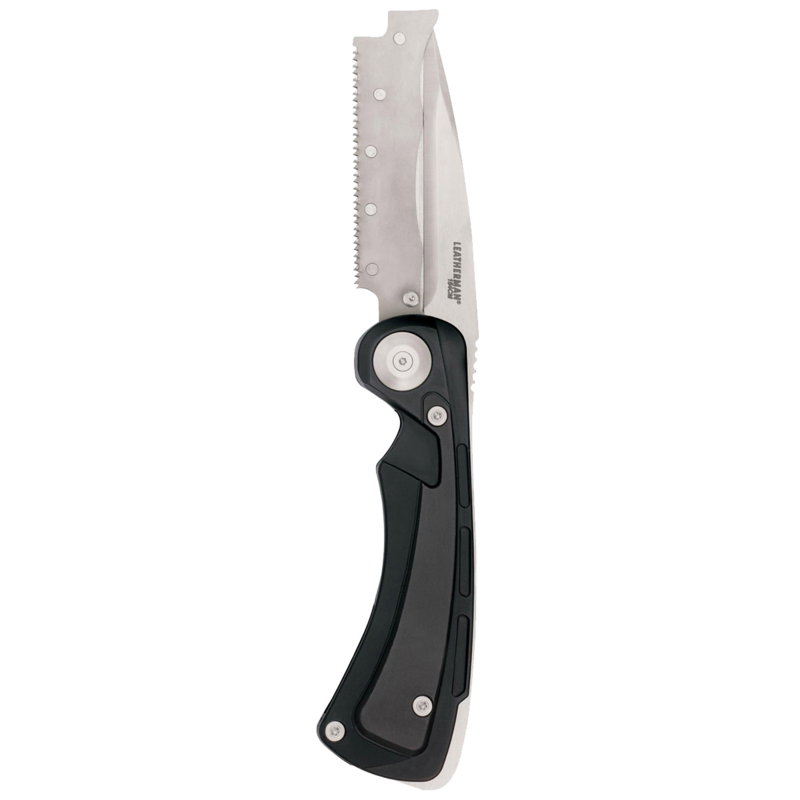 The aggressive bone saw remains hidden until needed when it then locks into place over the 3.75" blade. A 154CM blade delivers superior edge retention. Full leather sheath and diamond-coated sharpening rod are included.